Morwenna Self Catering Holiday Apartments in Llandudno. Seren Y Dyffryn is a wonderful holiday park situated in Colwyn Bay, near Llandudno in North Wales. It is surrounded by outstanding rolling countryside and offers a charming, secluded atmosphere with exceptional panoramic views. If you are looking for the perfect home away from home in an unbeatable natural landscape be sure to browse their gorgeous holiday homes for sale. 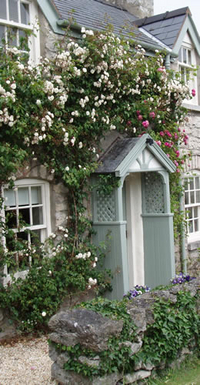 Self catering cottage & B&B accommodation in Conwy. Tram Station Cottage in Llandudno is a small family run business who go the extra mile to ensure the satisfaction of every single guest for the past 40 years. They take pride in receiving positive reviews consistently throughout the calendar year on trusted review sites. Found on the lower slopes of the stunning Great Orme, the Tram Station self catering holiday cottage offers our guests only the highest standards in comfort and privacy, with a panoramic view of the Llandudno Bay, something that has to be seen to be believed.